In brief: Dark mode is available as of writing in the latest version of Messenger on Android and iOS. To unlock it, you’ll need to send a crescent moon emoji in any Messenger chat which will then prompt you to enable it. It’s a weird approach to introduce a new feature although admittedly, it’s a clever way to get users chatting and boost engagement – even if only temporarily. Facebook launched an overhauled version of its Messenger application back in October. In addition to decluttering the app, Facebook promised a dark mode was in the cards. Now more than four months later, the feature has finally arrived. Messenger’s dark mode is designed to be easy on the eyes by switching the app’s background from white to black. It maintains contrast and vibrancy, Facebook said, while simultaneously reducing glare for improved use in low light environments. 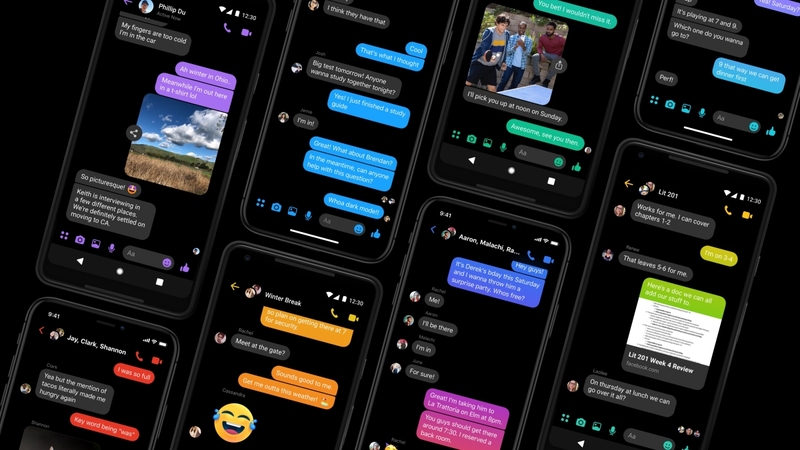 Dark mode is the latest feature to make its way to the popular messaging app. Last month, Facebook added an unsend feature, allowing users to retract messages from chat logs within 10 minutes of sending them. The feature was derived from an unadvertised ability that CEO Mark Zuckerberg previously had. Facebook plans to properly introduce dark mode through a permanent option in the setting in the coming weeks.